Thanks to its gorgeous design, the Mexican Silver Libertad has become one of the world’s most beloved coins. It is also one of the longest running minted bullion series in existence today (started in 1982). Finding dated Mexican Libertads is difficult, especially in any quantity. Even more so, it is even more difficult to find these issues in BU (Brilliant Uncirculated) condition. We have acquired a special group of early date Mexican Silver Libertads dated 1982 in BU condition. These coins typically sell anywhere from $35 to $50 per coin, but you can buy yours along with the 2018 version for only $3.99 per oz over spot! Not only is the Libertad highly attractive, but it’s also quite scarce compared to other leading bullion coins. 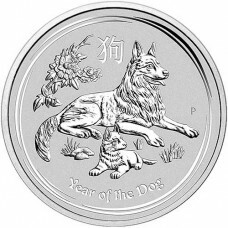 Whereas tens of millions of Eagles and Maples are struck each year, annual 1 oz silver Libertad mintages are often just 500,000 to 1,500,000 pieces. Due to their rarity, some backdated issues now trade for $100-$200 each! 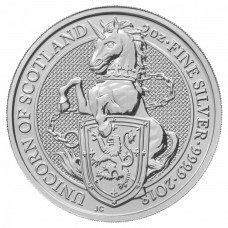 Each coin contains 1 troy ounce of .999 pure silver. You will receive one (1) 1982 Silver 1 Oz Libertad and one (1) 2018 Silver 1 Oz Libertad.